Tetirah Boutique Hotel Ubud is located at the very heart of Ubud around 800 meters from Ubud Palace, Ubud Traditional Market and the world famous bu Oka's Suckling Pig, Tetirah suweta is our first romantic hotel in ubud. Set out from our philosophy, we offer our guests the traditional indonesian charcteristic of FRIENDLINESS, HONESTY, SINCERITY, GENUINE and CLEANLINESS. The word Tetirah originaly means to go somewhere else to restore the body, the mind and the soul. 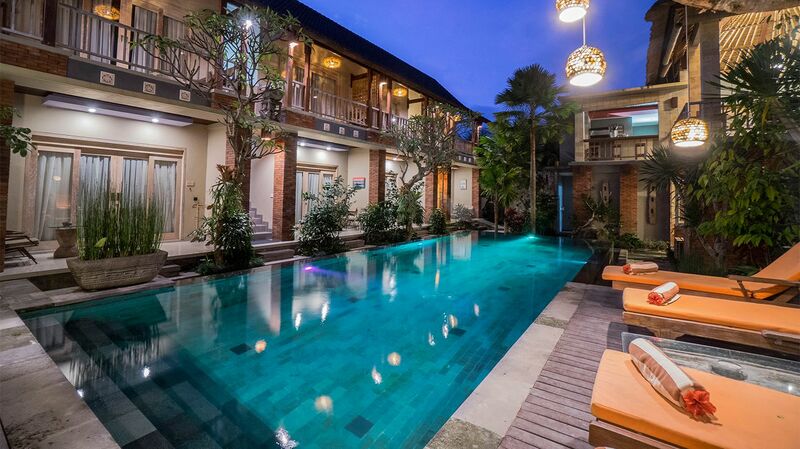 Filled with tradition, we are your home in Indonesia, where the hospitality meets the culture.